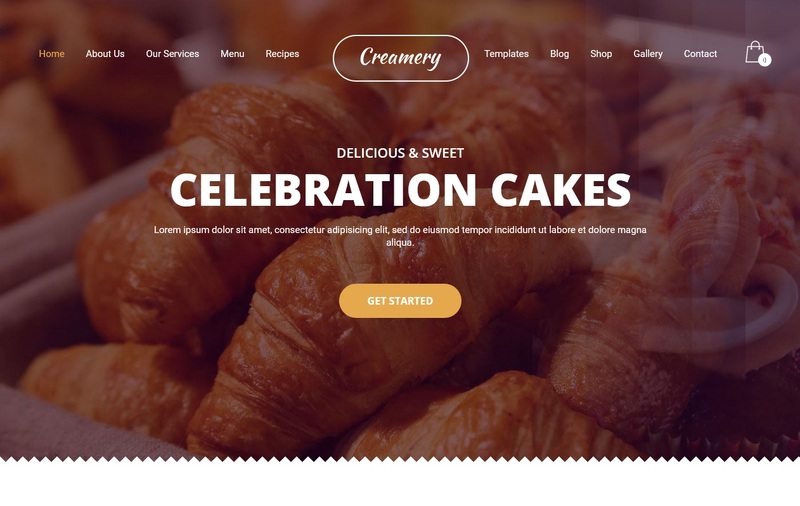 Are you looking for a theme that suits your business? Well since you are here you might be working in the dining area and looking for a way to help you spread and showcase your work to a lot of customers. Or you are a blogger looking for an easy, attractive and inexpensive design to publish your reviews and secret recipes. It is expensive to search for a domain name for the site, then you are booking a server and you want to hire one of the programmers to create your site. All this and you do not know if it will come with guaranteed results or not. Well, here is one of the things that may save you some money and believe me, These themes that we will offer you now are the best in the momentum of free themes that help in the field of food ,Cafes, Recipes, restaurants and Food Blogs. The theme is all that is suitable for restaurants, cafes, boutiques, bars and food and drink bloggers.It has the advantage of attractive flavor, and the ability to modify it according to what suits you. You can also receive the reservations, and limit your offers, and display the list of your food in high quality, because the features of the wonderful features, although it is free. You have the ability to customize Banners and sliders that further add to the attractiveness of the site. 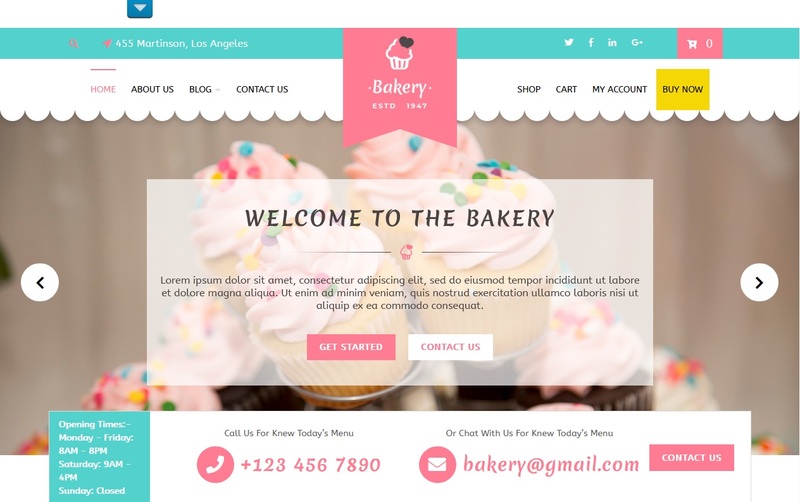 This bakery WordPress theme ismultilingual, fully responsive, cross-browser compatible and RTL writing supportive yielding a modern website. Through the social media icons that are integrated with the theme,you can Make your web site reach every home. The theme has been encoded in clean and secure manner protects website from security breaches. Easily customize Theme with customizer tools. SEO & user-friendly theme with compatibility with Woocommerce. 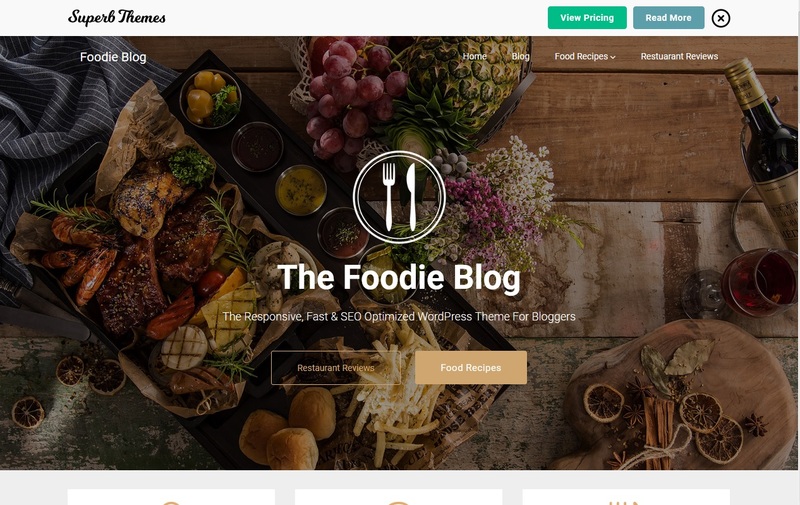 Foodie is a simple WordPress theme for blogs designed to be a site for a restaurant or food blog. The feature is excellent for writers, bloggers, journalists, or journalists with websites. Everything is fully customizable, so once you have your site on the go, you can start writing and posting images on the theme about food, recipes or restaurant reviews. The theme has multiple tools, such as the sidebar and head, ideal for displaying ads or affiliate links, making it easy to monetize your website or blog. 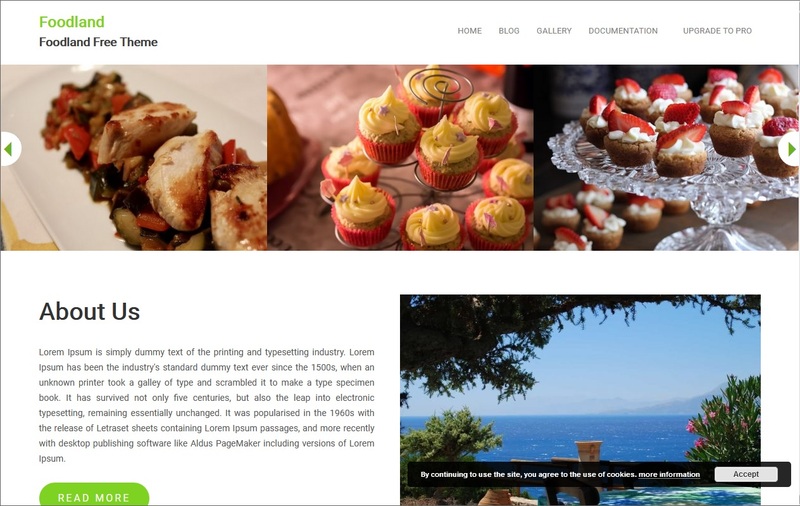 Foodie Blog is one of the best quick and very appropriate themes for search engines (SEO friendly). Installing and setting up a theme is simple for anyone, because the theme has a clean, user-friendly interface to prepare and start using.with foodie your website will be perfectly optimized for every browser, device, and screen size. 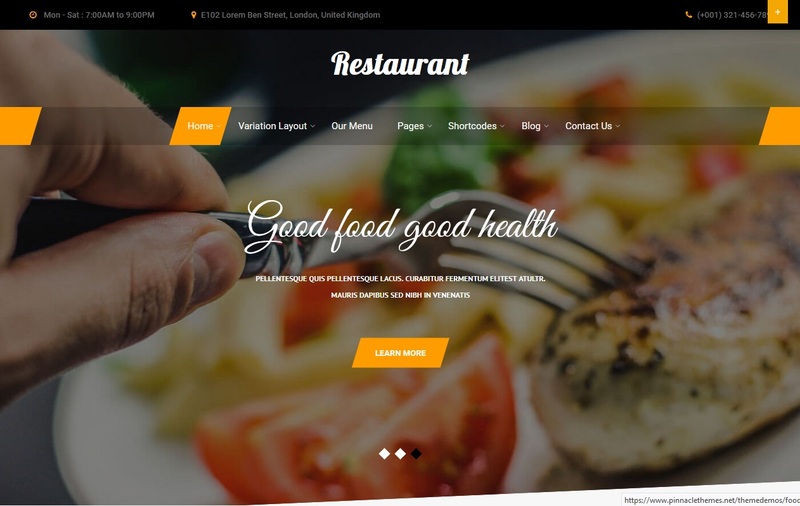 Restaurante is a WordPress theme, which is lightweight and attractive for restaurants, fast-food chains, grill n bars, or any other food-related business. The theme includes some basic features such as the ability to load your logo, customizable background, header, and short codes. Theme makes it easy for you to be present in search engines. Restaurante is a lightweight bootstrap theme that responds to all kinds of restaurants and bars. Features include an option to load your favorites, customizable background, head, and short icons. Microdata, open graph and twitter cards are also implemented in order to get the best visibility on search engines and social networks. This is ideal for any food establishment, and has great food-focused features and benefits. Add a complete list with special descriptions or posts (hot, gluten-free, vegetarian, etc.). This way customers can search for them before they arrive at your restaurant. The restaurant also has other great features such as the built-in booking system. This allows users to make reservations in their free time, and makes it easy for you to manage all reservations. 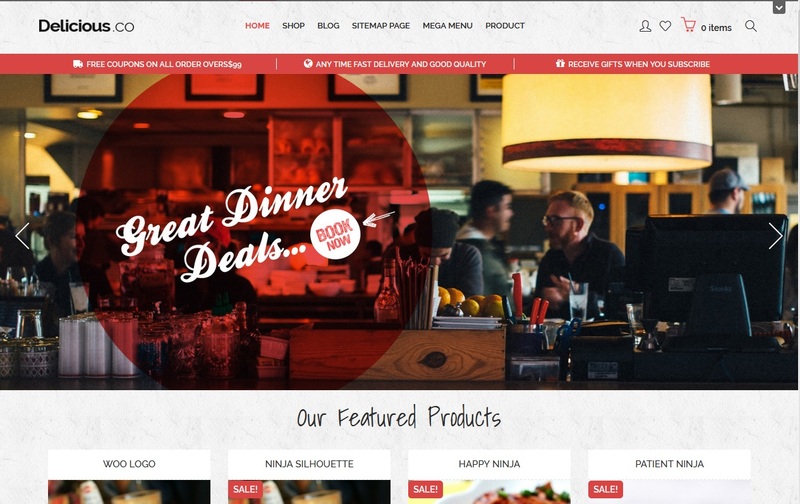 WooCommerce also supports the sale of items for your restaurant or restaurant. 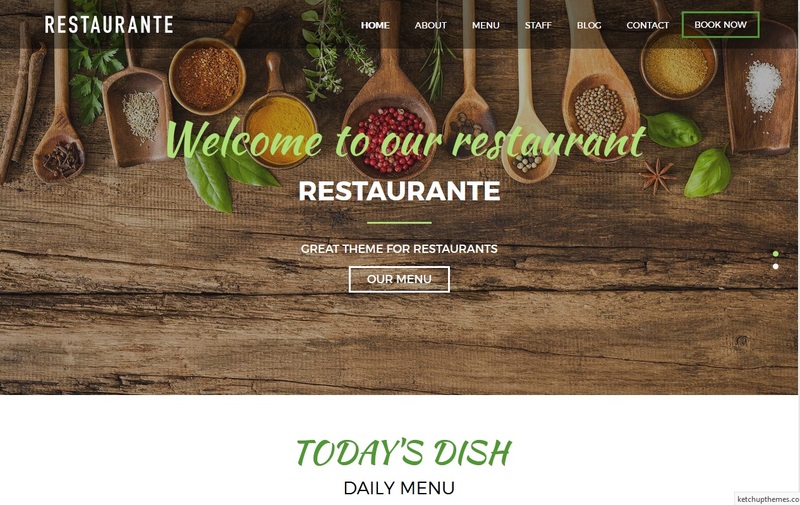 Bistro Lite WordPress theme is ideal for all employees in the food and beverage industry and provide services such as chefs, restaurants, restaurants, cafes, catering services, or any other business related to food. This theme is compatible with many different plugins, Bistro Lite also comes WooCommerce ready so that booking tables is a breeze. This free theme has features that help you so that all your recipes can be viewed with ease. In addition to this, the theme can be used for hotels, motels, resorts, holiday homes, hostels, tourist places. Simply changing the color, photos can be used by the salon, spa and other services. Yummy is A professionally designed template is a food blog site which you can also fit into many other areas outside the dining codes. The theme has this unique design that will make any code look as beautiful as it can on any device. 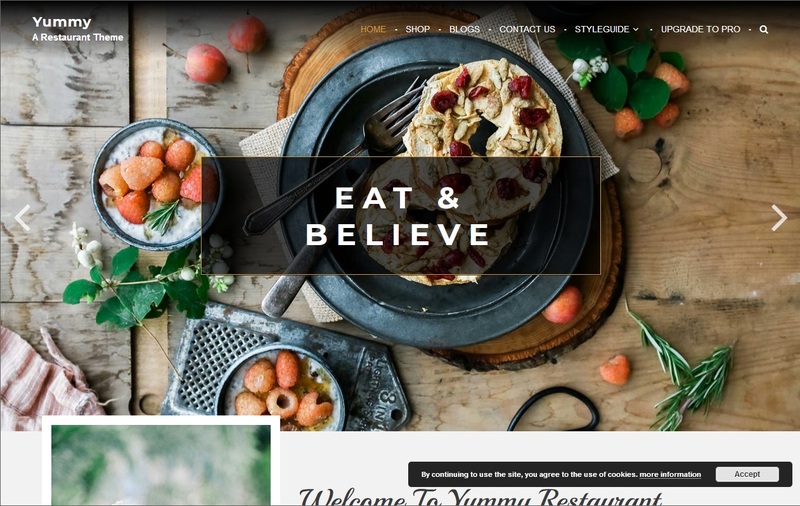 Yummy is a free WordPress restaurant and is ideal for selling delicious food and drinks online. It is fully customizable and can change everything from the background and color scheme to suit your needs. Key features of Yummy include multiple layout options and many useful tools, which are compatible with WooCommerce so that it is easy to reap money. This topic is highly recommended. Yummy gives you the ability to build a customizable feature by using the Options Panel features a powerful API based customizer with live preview platform to showcase your restaurant.It provides a lot of features like layouts, multiple widgets and more that. It is compatible with WooCommerce theme and translation ready. 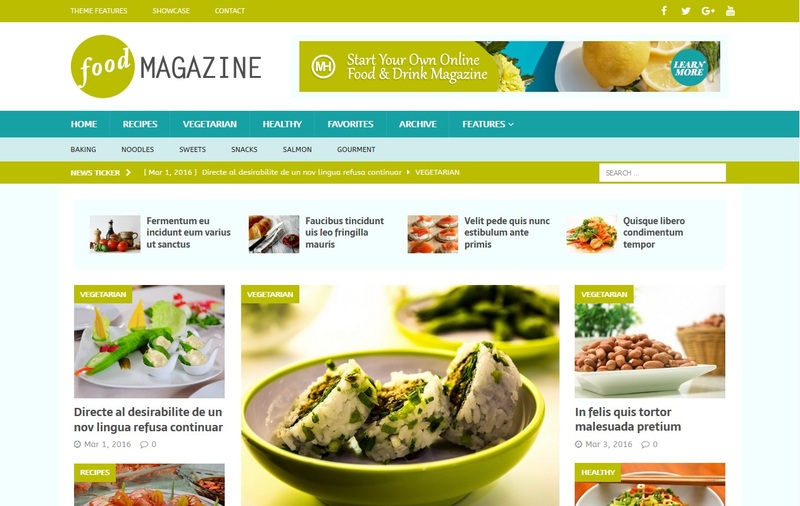 MH FoodMagazine is a beautiful and new WordPress theme suitable for tasty food magazines and health and fitness editorial websites, as it is fully responsive and translation ready to suit those customers who speak different languages. Some of the main features of this theme include many unique custom tools and extended layout options. MH Magazine offers additional areas for elements, and multiple unique custom elements to add ads to your site, all of which help you manage multiple planning elements on your site, including changing Color scheme and printing. Foody is a professional-looking WordPress theme for restaurants and other food-related businesses. This theme has WooCommerce integrated to make it easier for you to create online services on your site. Foody allows you to display the best products you sell directly on the homepage. The theme has a completely responsive design with all the devices and browsers. 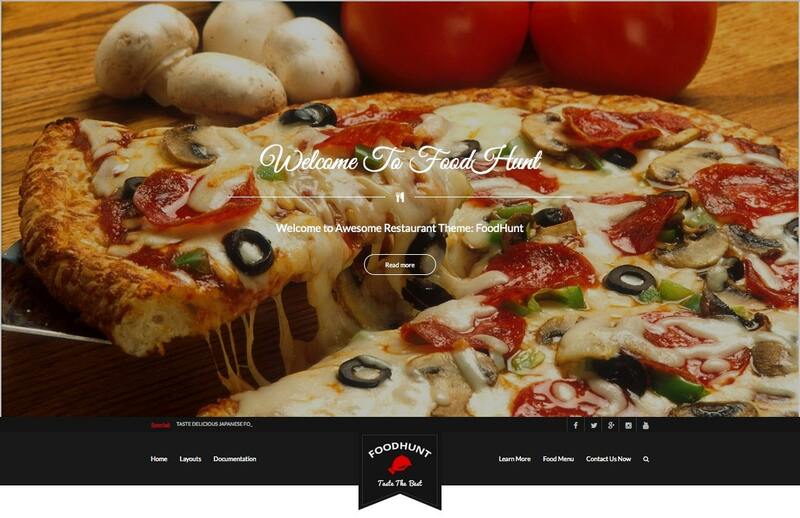 Foody is a WordPress theme for a clean response and a new blogging and photo gallery. Unlimited side bars. For the best actual experience. Theme is highly customizable with a wide range of customizable features so you can modify colors, backgrounds, fonts, featured content, promo title, scroll bar, numbering pages, icons, menus, tools and much more, directly from the Characterization Tool. Make it suitable for restaurants or food blog. The simple theme is a ready-made and fully responsive translation, and each element is carefully configured for optimal display on all devices and platforms. 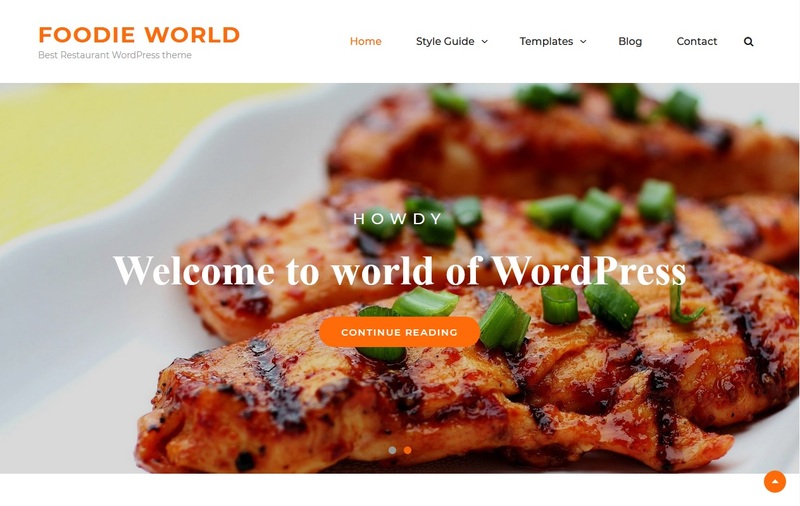 Foodie World WordPress Theme designed to help you create an easy and beautiful Web site as quickly as possible. The theme is a WordPress restaurant with a clean, attractive appearance designed to be the first focus of your food and what it offers. This topic is highly customizable and ideal to show your foods and recipes on your website elegantly. Foodie World has a visually appealing appearance and simple menu pages. The theme is completely responsive and your website looks perfect on all devices. So, if you’re looking for a new look that can show your website and everything you offer, that’s the right topic for you. Also, the topic is ready for translation. The theme is designed to make you able to appear in the search engines, as it is fully proportional and works efficiently and shows on all the devices in an excellent manner. You can modify the theme in more than one way, which possesses the necessary tools for it،like Drag-and-Drop Page Builder,easy unlimited sidebars manager,and It is completely free with everything it offers. There are many, many free themes, but before you think of using one of these themes, try to see your work in your imagination when you put it on the theme you choose. Try to imagine your website. The choice of colors and presentation of objects and style does not depend on the theme or design, but depends on your vision, and how you like people to see you, so choose carefully what you do.